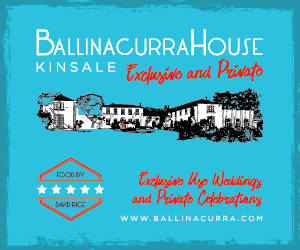 Kinsale is celebrating its second major award of 2018 following on from becoming Ireland’s No. 1 Foodie Town earlier this year, it has now won the National Title for the most enterprising town in Ireland in the 3,000 to 7,000 population category. 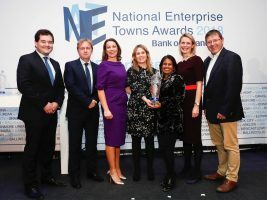 Kinsale also for the second year running won the Regional Munster Title in these hugely anticipated Bank of Ireland Enterprise Town Awards taking home total prize money of €13,000. 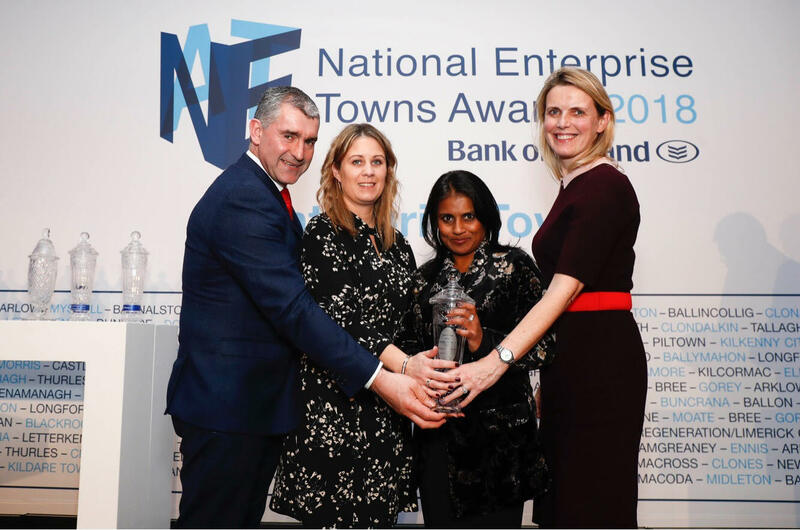 “It is a huge achievement for Kinsale and its hardworking community firstly being shortlisted to the 83 finalists and then taking these two prestigious awards”, said Guny Patel, Chairperson Kinsale Chamber of Tourism & Business. 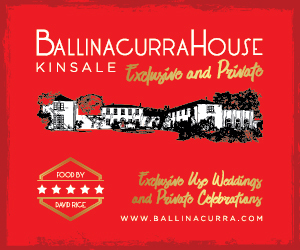 “We presented to the judges in September and after our presentation they visited local businesses including Giles Normal Gallery, Kinsale Leather, Kinari Boutique, artist Philip Gray and visited Kinsale Community School where School Principal Fergal McCarthy gave a guided tour of this world class campus and talked about enterprise at his school and how an entrepreneurial spirit is encouraged amongst the school students”. The gala awards ceremony which took place at Lyrath Estate in Kilkenny on Wednesday evening was attended by well over 500 people along with Minister for Finance Paschal O’Donoghue and Bank of Ireland CEO Francesca McDonagh, The Kinsale submission was led by Kinsale Chamber of Tourism & Business and included input from community groups such as Tidy Towns, Age Action and Kinsale Youth Support Services (KYSS). The submission included a body of research recently completed by the Chamber to set out a 20 year vision for Kinsale under the new umbrella group Inspired by Kinsale.